Restore strong, healthy-looking hair with Shea Moisture Manuka Honey & Mafura Oil Intensive Hydration Hair Masque; an intense conditioning treatment to infuse strands with moisture and nutrients. Harnessing the powers of Certified Organic Shea Butter, Honey and Mafura Oil, the revitalising formula smooths and fortifies hair follicles, whilst antioxidant-rich African Rock Fig repairs and protects from root to tip. 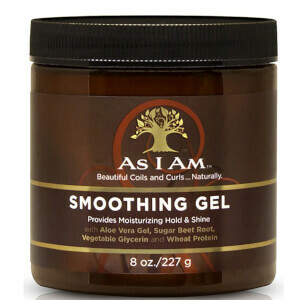 Dry, damaged hair feels soft, manageable and deeply replenished. 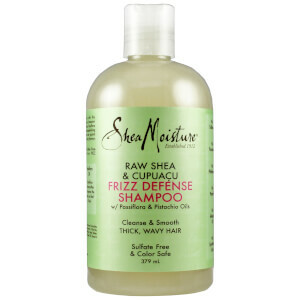 Free from sulphates, parabens, phthalates and mineral oil. Section clean, wet hair. Apply generously. Use a wide tooth comb to distribute evenly from root to ends. Leave in for 5 minutes. Rinse thoroughly. For extra conditioning, cover hair with a plastic cap. Apply moderate heat for up to 30 minutes. When using a steamer do not cover hair. Moist heat will add to masque's hydration. Water (Aqua), Cetyl Alcohol, Cocos Nucifera (Coconut) Oil, Behentrimonium Methosulfate, Butyrospermum Parkii (Shea) Butter, Glycerin (Vegetable), Stearyl Alcohol, Behentrimonium Chloride, Panthenol, Trichilia Emetica (Mafura) Seed Oil, Honey, Hydrolyzed Rice Protein, Fragrance (Essential Oil Blend), Adansonia Digitata (Baobab) Seed Oil, Cetrimonium Chloride, Persea Gratissma (Avocado) Oil, Ficus (Fig) Extract, Mangifera Indica (Mango) Seed Butter, Tocopherol, Aloe Barbadensis Leaf Extract, Caprylhydroxamic Acid, Caprylyl Glycol, Butylene Glycol Butter.